We hold expertise in providing 98 % Andrographolide to a wide array of to the customers. We are indulged in offering Andrographolides to our clients. With accurate chemical composition and porous structure these find great usage in various chemical factories, pharmaceutical companies and research laboratories of our clients. We have in-house experts who inspect the quality before reaching the client end. These are available to the consumers at good prices. 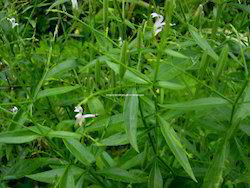 Andrographolide is a labdane diterpenoid that is the main bioactive component of the medicinal plant Andrographis paniculata. Andrographolide is an extremely bitter substance extracted from the leaves of A. paniculata. 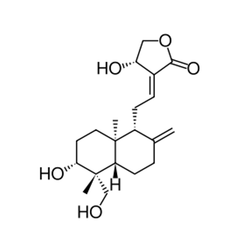 IUPAC Name: :3α, 14, 15, 18-tetrahydroxy-5β, 9β, 10α-labda-8, 20-diene.